Welcome to a new and improved Education Perfect Geography. Education Perfect Geography has been built from the ground up. A concepts module based on SPICESS. 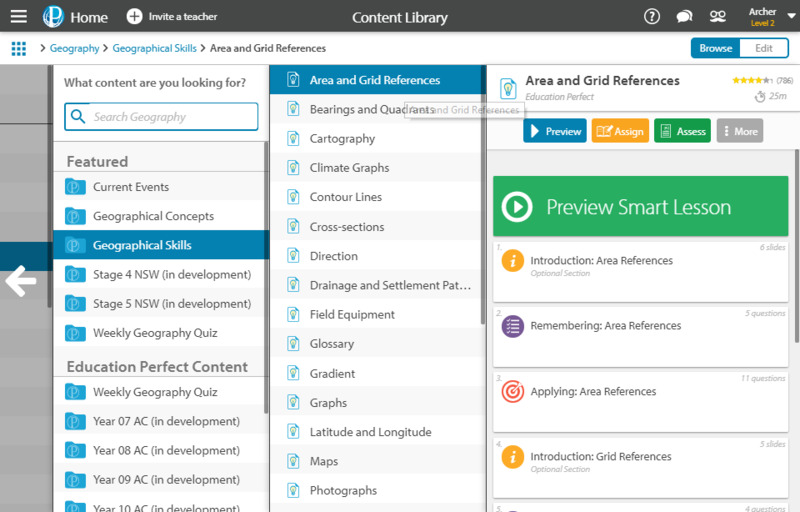 A comprehensive geographical skills module to help build core understanding of the methods used in Geography. Curriculum-aligned Year 07 Water in the World, Year 07 Place and Liveability, Year 08 Landforms and Landscapes, Y8 Changing Nations, Year 09 Biomes and Food Security, Year 09 Interconnections, Year 10 Environmental Change and Management content and Year 10 Human Wellbeing content. We also have a monthly Current Events module and both History and Geography quizzes released each week. You can keep updated on our progress by registering for our Geography Pilot here. 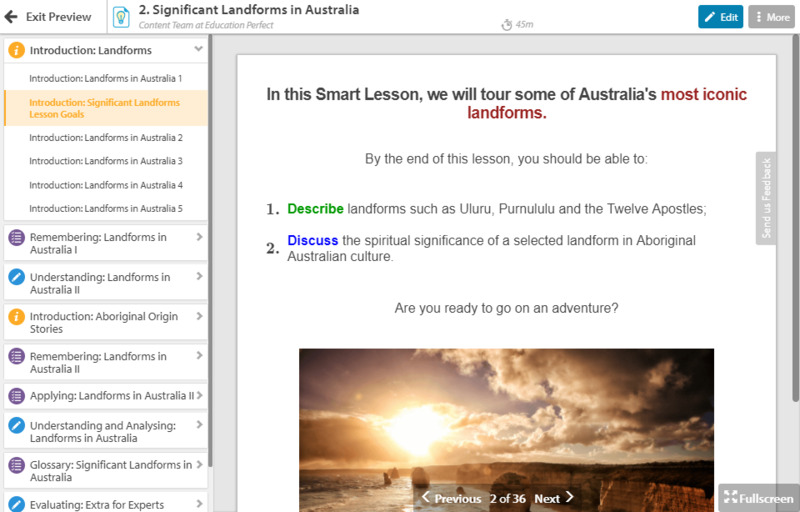 Each Smart Lesson begins with slides outlining learning outcomes and key terminology, then teaches the initial content and progresses with quiz sections that increase in difficulty often culminating with a long answer style question or a case study. They finish with a summary of the terminology and the key learning outcomes. There are also definition lists and spelling lists that put key terms in context. Clicking on the content library. Click on Geography as your subject from the left-hand side. Teacher accounts are always free, to create a teacher account, we just need the first name, last name and email. Whether you’ve just registered or have been a part of our Geography pilot since December 2017, if you have any thoughts or feedback we'd love to hear from you. Once you've reviewed the new content, please feel free to fill in our survey here.